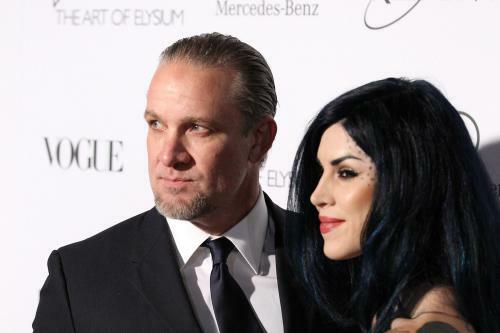 Jesse James and Kat Von D have broken up. Their engagement, announced in January, will not end as planned – in a late summer wedding on the one-year anniversary of when they started dating. The couple confirmed the split themselves. Jesse, 42, and LA Ink star were trying to commute between Los Angeles, where Kat, 29, shoots her reality show, and his home outside Austin, Texas. He moved there with kids Chandler, 16, and Jesse Jr., 14 (from his first marriage), and Sunny, 7 (from his second marriage) in the middle of last year. James wanted the children to remain close with his third wife, Sandra Bullock, who lives in Austin, and with whom they had a close relationship. Von D also confirmed the split on Twitter.